Please welcome, Ruth Hull Chatlien! 1- Please tell us a bit about your research and what prompted you to write about Betsy? My husband and I were fans of the Horatio Hornblower television series in the late 1990s. Then in the 2000s, we discovered an additional four episodes that had been produced much later. The last of those featured Jerome and Betsy Bonaparte. I had never before heard that Napoleon’s brother married an American. When I looked up the facts on the Internet, I discovered that Betsy’s real life was far more interesting than the snippet shown (and distorted) in the television show. I researched the novel by reading several biographies as well as books about Napoleon, Dolley Madison, the War of 1812, Baltimore architecture, period clothing,and an early excursion to Niagara Falls. I also took a research trip to Baltimore to visit historic homes, Fort McHenry, and the Maryland Historical Society. 2- Could you please share one fascinating or juicy thing about Betsy that is not necessarily in the book, but that us readers would love to know? Betsy had a Parisian porcelain bourdaloue, a portable chamber pot, that she carried with her on long carriage rides. After Betsy’s death, her grandson’s wife donated it to the Maryland Historical Society, and the curators there didn’t know what it was. Assuming it was a large sauce boat, they put it on display as part of a table setting in a period dining room—until a porcelain expert explained its real purpose. 3- What major difference between Jerome and Napoleon would you say most struck you and why? Jerome greatly admired Napoleon and wanted to be just like him, but as the spoiled baby of the family, he never acquired the discipline or work ethic that was necessary to become a great military leader or ruler. So Jerome took the easy way out and settled for the trappings of unearned glory. In fairness to Jerome, there’s one other difference I should note. He was a kinder man than his brother. 4- Please share with us any future projects you may be working on- Can we expect more on the Bonaparte family perhaps? I haven’t ruled out writing another book about the Bonaparte family, but I’m not going to do so right away. I want to avoid being too closely tied to any one period or country. Instead, I see my “brand” as writing about strong women caught up in times of conflict. I’m currently researching another true story, this one about an American woman who was taken captive during one of the most brutal Indian wars in U.S. history. After that, I expect to return to a topic that is connected to France. Amika Press, Amazon, Barnes and Noble, and iTunes. Ruth Hull Chatlien has been a writer and editor of educational materials for twenty-five years. Her specialty is U.S. and world history. She is the author of Modern American Indian Leaders and has published several short stories and poems in literary magazines. The Ambitious Madame Bonaparte (2013) is her first published novel. She lives in northeastern Illinois with her husband, Michael, and a very pampered dog named Smokey. When she’s not writing, she can usually be found gardening, knitting, drawing, painting, or watching football. Review + Giveaway at Just Reviews. In 1492, Amalia Riba sits in an empty room, waiting for soldiers to take her away. A converso forced to hide her religion from the outside world, She is the last in a long line of Jewish mapmakers, whose services to the court were so valuable that their religion had been tolerated by Muslims and Christians alike. But times have changed. When King Ferdinand and Queen Isabella conquer Granada, the last holdout of Muslim rule in Spain, they issue an order expelling all Jews who refused to convert to Christianity. As Amalia looks back on her eventful life, we witness history in the making—the bustling court of Henry the Navigator, great discoveries in science and art, the fall of Muslim Granada, the horrors of the Spanish Inquisition. And we watch as Amalia decides whether to relinquish what’s left of her true self, or risk her life preserving it. 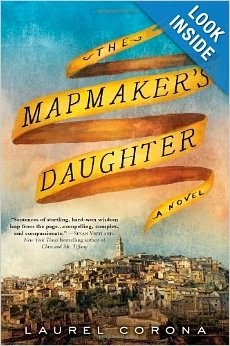 Exploring an under-published period in history, The Mapmaker’s Daughter is a sweeping saga of faith, family and identity that shows how the past shapes our map of life. 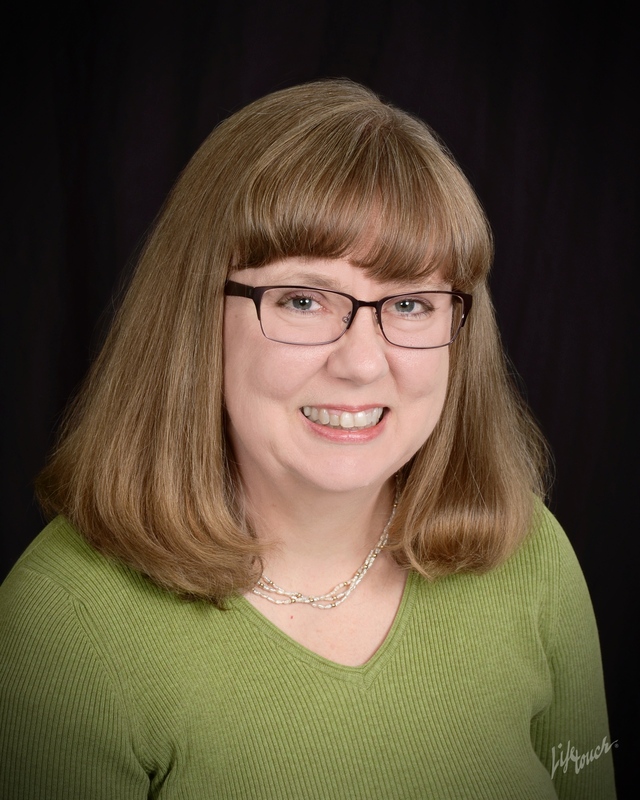 Laurel Corona is the author of three historical novels, including Finding Emilie (Gallery Books, 2011), which won the 2012 Theodore S. Geisel Award for Book of the Year, San Diego Book Awards. She has taught at San Diego State University, the University of California at San Diego, and San Diego City College, where she is a professor of English and Humanities. GIVEAWAY of 1 Copy to one very lucky loyal follower of this blog! !